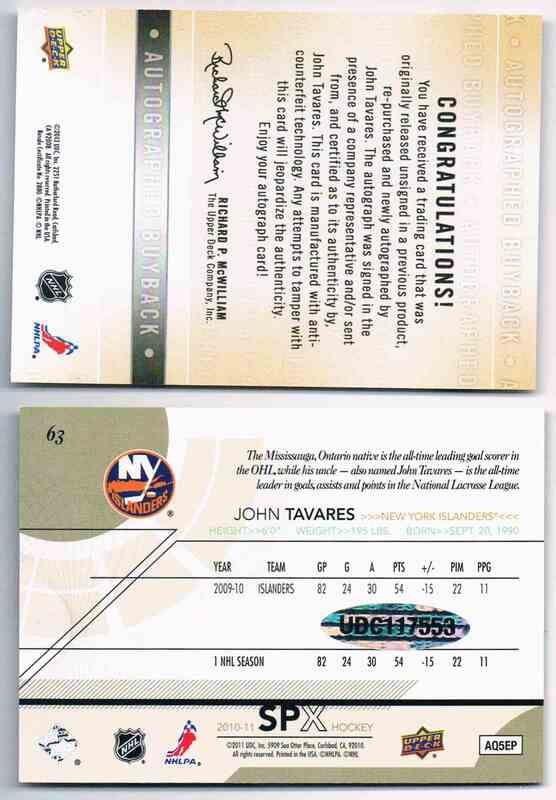 This is a autographed Hockey trading card of John Tavares, New York Islanders. It comes from the 2010-11 Upper Deck Spx Autograph Buyback set, card number 63, serial numbered 41/91. 2015-16 Inserted Upper Deck. It is for sale at a price of $ 100.00. Approximate size based on scanned front picture: 5¼" x 3½"